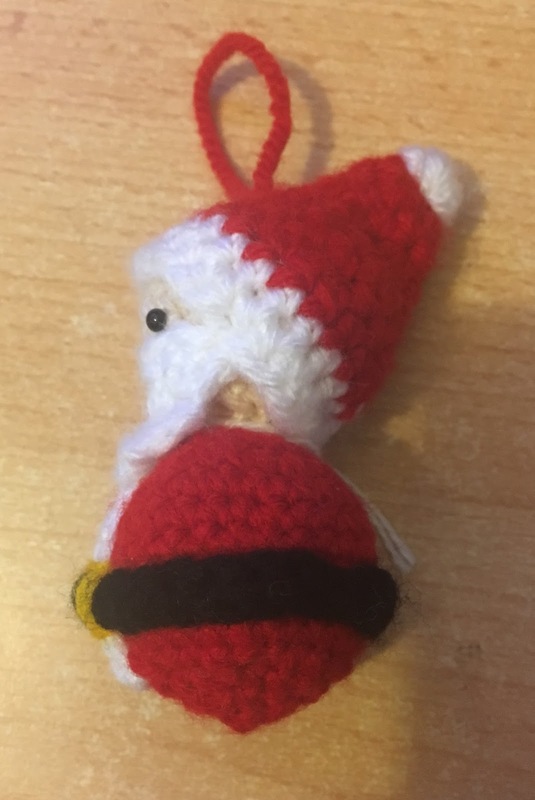 This little amigurumi Santa is another decoration for the christmas tree. Sc (24) – if using safety eyes, place between R 6-7 approx. 4 st apart. FO- Leaving yarn tail to sew to body. FO – Leaving long yarn tail to sew to head. Hanging loop – when sewing one of the pieces onto the body, move the yarn to the head and loop round. Hold this loop in place whilst you carry on sewing the rest of the piece on with that strand of yarn. This secures the loop in place. 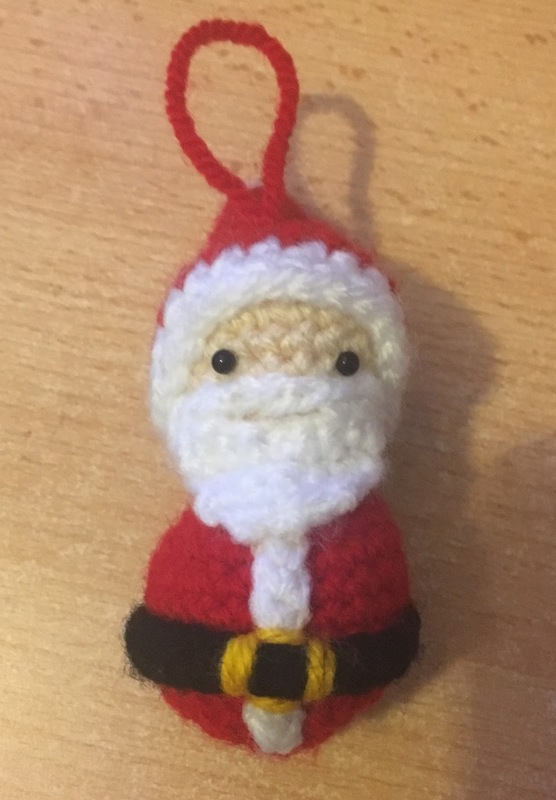 Just finished making him. Easy to follow pattern. Great result. He is adorable. Thank you.